Anne Taintor is a great artist who has a retro theme but modern, funny, witty and funky napkins. 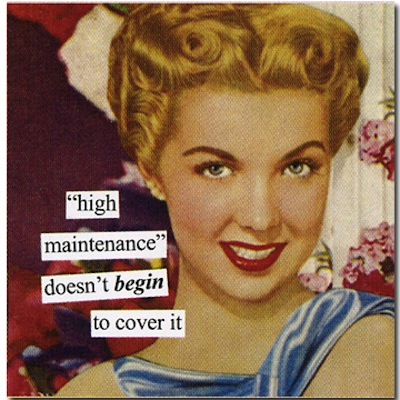 High maintenance doesn't begin to cover it. Napkins are a fun and retro way to add a little special something to any cocktail or beverage. 20 count per package. 3 ply paper beverage/cocktail napkins. 5'' x 5'' when folded (10'' x 10'' when unfolded).